China’s first large passenger jet is expected to make its first flight in the first half of this year, state media People's Daily reported on Monday. The plane is part of China’s ambitious plan to challenge global aircraft makers, has reportedly completed almost all significant static and system integration tests as well as the onboard systems installation. 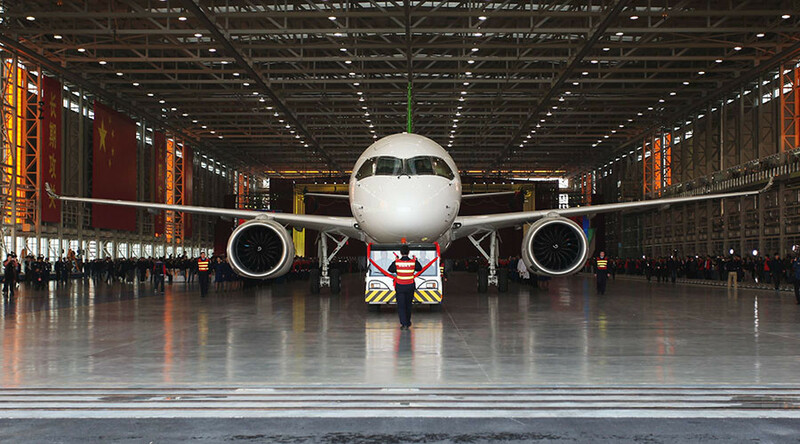 “We tested the whole plane, its key components, and connecting parts,” said Li Qiang, a technician at the Design and Research Center of the Commercial Aircraft Corporation of China (COMAC), as quoted by the Xinhua news agency. The maiden flight of the aircraft has been delayed twice since 2014 due to production issues. 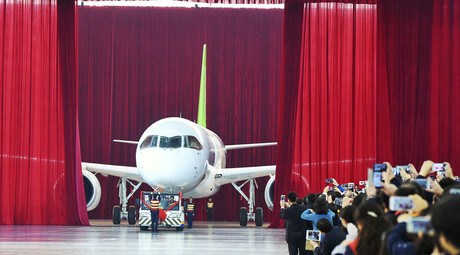 The twin-engine C919 was unveiled last November at a roll-out ceremony in Shanghai. The plane can carry up to 158 passengers with a range of 4,075 kilometers. A longer range version can fly up to 5,555 kilometers. The narrow-body jet aims to compete with the Boeing 737, and Airbus A320 and is a major symbol of China’s attempt to establish itself as a global supplier of aircraft. China Eastern Airlines has become the launch customer for the plane. COMAC has reportedly received 570 orders for the C919 passenger jet from 23 customers. China has become a major battleground for Western manufacturers due to growing number of Chinese travelers. The country's airlines will need about 6,000 new jets worth $945 billion over the next two decades, according to the 2016-2035 Global Market Forecast presented by Airbus. Boeing expects China to need 6,800 aircraft costing $1 trillion over the same period. Both corporations have built partnerships with local firms to win the share of Chinese aircraft market. Beijing hopes to replace foreign aircraft with domestically produced planes.